Please review all photos and read the entire description for the details and the condition of this used, vintage piece. This bright green painted metal case is wide enough to have once held movie reels from Columbia Pictures. The label, loose inside the case, is marked for the title: “Close Encounters of the Third Kind (CE3K)” which was released in 1977. This 15 pound case is built to protect its contents during shipping. The 3 piece puzzle latch requires manipulating to open the case. The hinged top opens fully and the inside is lined with a black padding (worn in some areas). Paint is missing on the exterior where shipping labels have been removed, there are rust spots and scratches, and there is no green paint on the bottom. This case shows significant age and has taken a beaten over the years but the industrial, steampunk look still holds great character and visual interest. It is hard to open and close and may need to be oiled. The can measures 17 inches x 15 inches by 8.5 inches. 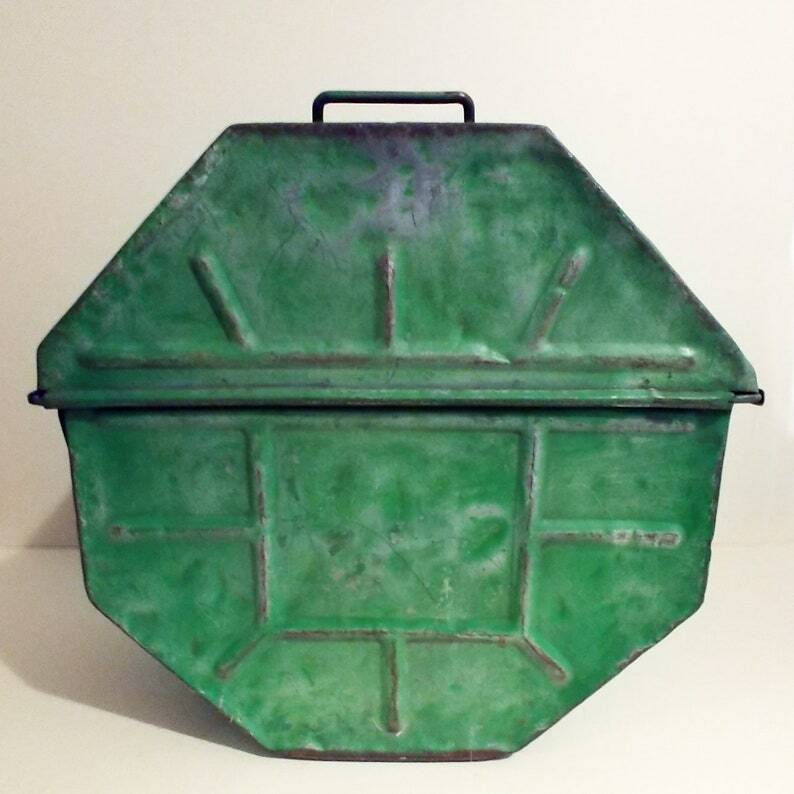 Add this beauty to your industrial room decor!